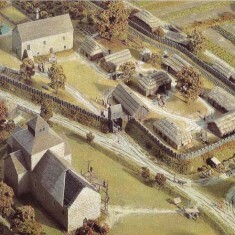 Domesday model of Church and Hall. 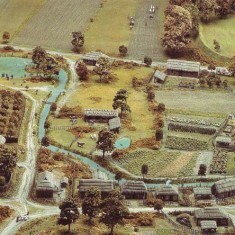 Domesday model of the River Meon and village housing. East Meon was chosen as The Domesday Village when the ninth centenary of the Domesday Book was celebrated, in 1986. 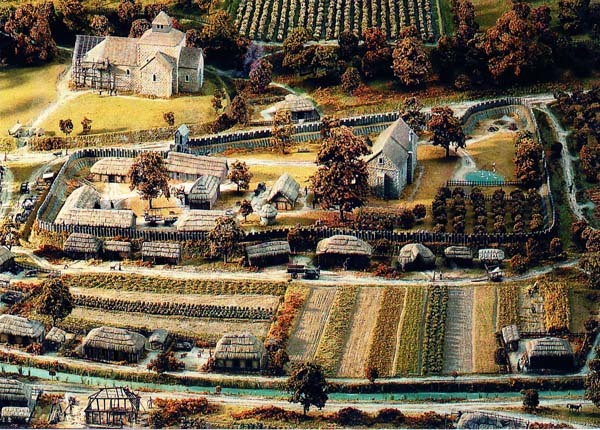 At the Domesday exhibition at The Great Hall in Winchester, a model was displayed of East Meon as it might have been in Domesday Year. 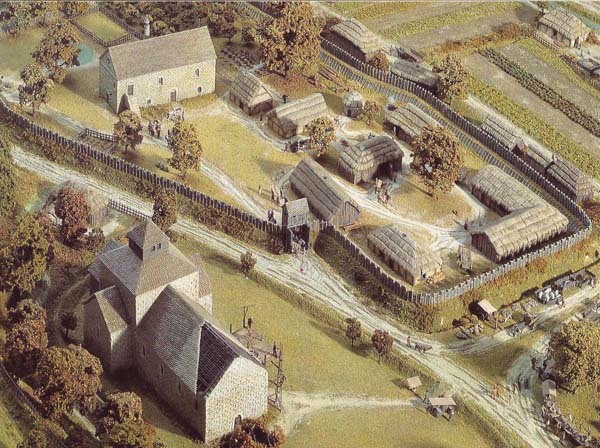 The simulation was created by Edward Roberts, then lecturer in Mediaeval Architecture at King Alfred’s College, Winchester, and Liz Lewis, curator at the Hampshire Museums Service. 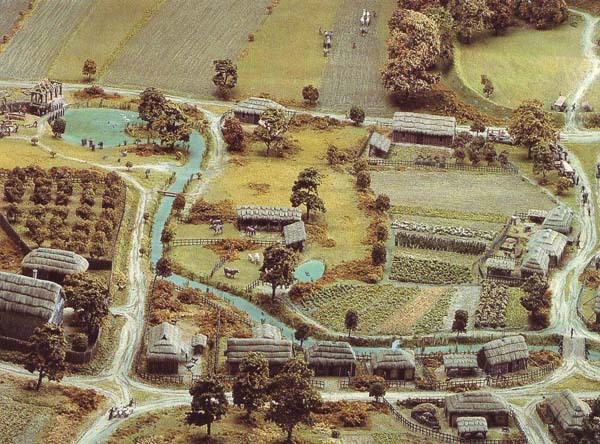 This model was later transported to Bayeux, where it is on display in La Musee de La Tapisserie, under the same roof as the Bayeux Tapestry. It is reproduced here courtesy of La Musee.